Exhibition curated by Marc Barbey. 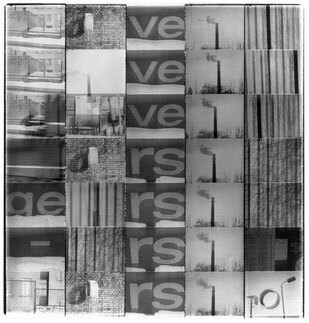 The exhibition will present important photographic cycles by Dietrich Oltmanns, especially from his early work, including: simultan, life, vieräugig, Einkreisung, Berlin Panoramen, and Verstreutes Licht. On the occasion of the exhibition, Collection Regard will release a publication with a text by Dr. Katrin Arrieta, Artistic Director of the Kunstmuseum Ahrenshoop. Dietrich Oltmanns (*1956) dedicated himself to photography unexpectedly after studying cybernetics and spending two years in the industry. As an autodidact, he tried to make his own way in the world of images. He found his way then and has been developing it further ever since. Oltmanns trained his eye in the reading room of the German National Library and with German and international films at the legendary Leipziger Filmkunsttheater Casino (Leipzig Film-Art Theater Casino). Out of the hundreds of films he saw there, one played a particularly significant role for him. It was this film that gave him the courage to further pursue the approach that he finally adopted for his photographic work. “The Man with the Kamera” by Dziga Vertov is a filmic manifesto from 1929, a “non-narrative” film whose avant-garde daring still serves as a source for the art films of the present, and which many experts consider one of the ten most important films of all time (this film will be shown at the Salon Photographique 12.4.2018). A major source of inspiration for Oltmanns’ work, from whom the photographer himself claims to have learned a great deal, is Albert Renger-Patzch (1897-1966). A photographer associated with New Objectivity, Renger-Patzsch united pure form with proximity to the things photographed and precision in his images and is one of the most recognized photographers of his generation. Authenticity and concentration are qualities Renger-Patzsch and Oltmanns have in common. However, the connection between them is more one of mindset, since Oltmanns uses different technical means than those used by Renger-Patzsch and has his own unique visual language. At first glance, many of Oltmanns’ images forgo the classical language of photography. He has thoroughly mastered the canon, but does not make use of it in the usual way. 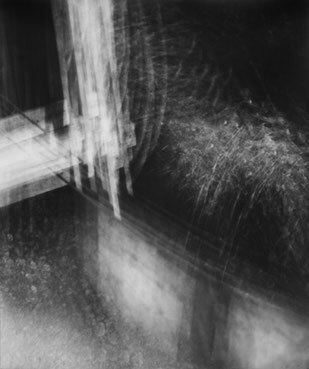 Oltmanns follows a very individual, unique, sometimes melancholic, often experimental path, engaging with the photographic medium and his relationship to the world. 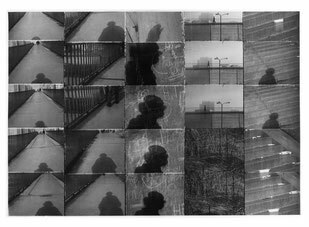 As a master of vision and an orchestrator of the visible, he creates two-part, four-part, and multi-part images, montages in grid form made of filmstrips, or sequences of images—the single image is not in the foreground. 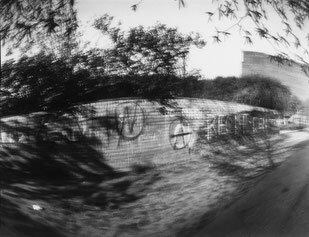 For him, it is about the complexity and multiple perspectives achieved by using a variety of equipment, from the distortion-free pinhole camera to the large-format plate camera. The attention Oltmanns’ work has received up until now does not reflect the quality, the peculiar complexity, or the remarkable originality of the work. Oltmanns’ images have taken their place in German institutions and private collections in Germany and elsewhere. However, this has not brought general recognition or a corresponding level of publicity with it. The fact that Oltmanns doesn’t self-promote and is quite self-effacing when speaking about his images explains this discrepancy to some extent. What is certain is that he is an artist who treads a bold and ambitious path—independent of external recognition and in defiance of personal setbacks. Oltmanns has being going his own way for more than 35 years, and now he’s inviting us into the unique, inventive world of his outstanding work. Born in 1956 in Leipzig, technical college course 1976-1981 in Cybernetics at the TH Ilmenau diploma after high school and military service, active in industry in Leipzig, from 1983 worked there as an independent photographer, 1987-1989 co-editor and producer of the Art Informel magazine Zweite Person. 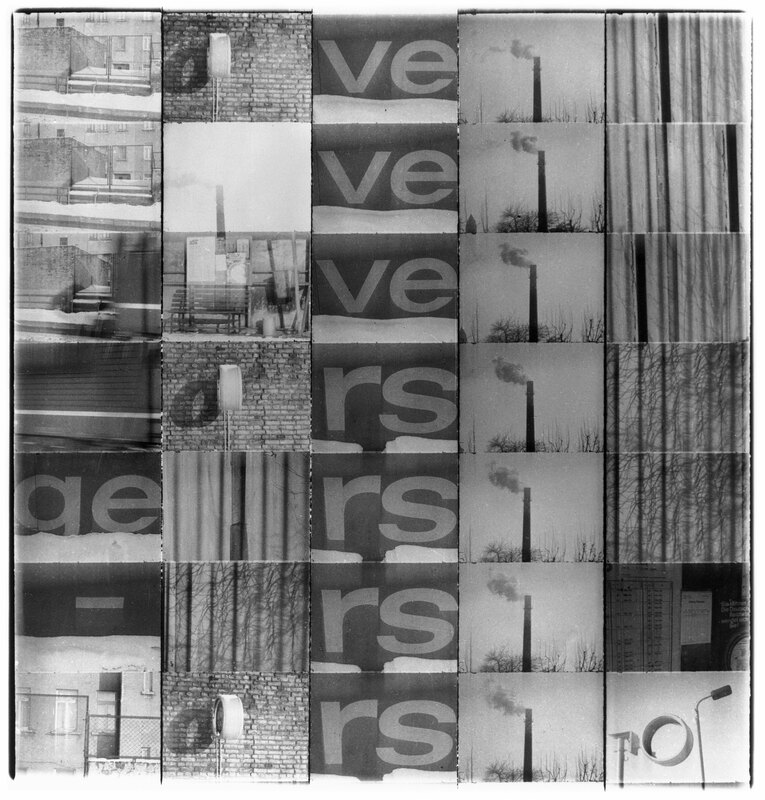 Moved to berlin in 1991, collaborated with Maria Luise Faber, 1994 grant from the Stiftung Kulturfonds, residential grant from the state of Sachsen-Anhalt in Dessau, 2002 residency at the Kunstverein Rüdershof, 2008 grant from Künstlerhaus Aaerenshoop, supported by the state of Mecklenburg Vorpommern, 2010 fellowship at NOMOS Glashütte. Lives and works in Berlin and Lindenbrück/ Teltow-Fläming. The exhibition can be visited every Friday between 2 and 6 pm (except on holidays) as well as by appointment. During Berlin’s Gallery Weekend, the Collection Regard is also open on Saturday, April 28th between 2pm and 6pm. Tours: Visit the exhibition with the photographer Dietrich Oltmanns and Marc Barbey (in German): Friday 23.3. at 5pm, Friday 20.4. at 5pm, Saturday 28.4. at 2pm, and Friday 1.6. at 5pm. Attendance is free. Advance registration requested at: info@collectionregard.com. Dietrich Oltmanns will be present. After the screening, there will be a group discussion of the film. “The Man with the Camera” by Dziga Vertov is a filmic manifesto from 1929, a “non-narrative” film whose avant-garde daring still serves as a source for the art films of the present, and which many experts consider one of the ten most important films of all time. In this film, Dziga Vertov documents the daily routine of a large Soviet city, a montage of Moscow, Kiev, and Odessa. He leaves out narrative (literary) and staged/designed (theatrical) elements and relies on the impact of the montage. It was Vertov’s belief that films should generally and without exception “show life as it is”; every kind of staging, for him, was fraud and an underestimation of the audience. The OBSCURABOAT is a floating and walk-in Camera Obscura, built by the photographer himself. Since September 2017, as a partner of the Hamburg Triennial 2018 and the 2Boats/Übermut Project, it has been travelling through Europe via Amsterdam, Paris, and Berlin, before returning to Hamburg on the occasion of the Triennial of Photography Hamburg. This photographic journey across Europe follows another one the photographer did in America, that time on a Camera Obscura bus, as part of the same ongoing project, entitled “The Moving Camera,” which he began in 2015. 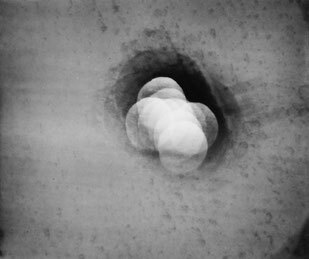 Maciej Markowicz and Marc Barbey will present and discuss the photographer's photographic work and approach using a projection and a small film. 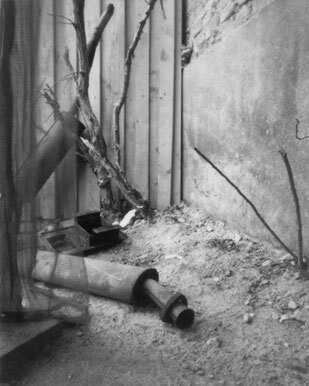 Maciej Markowicz is a photographer and designer based in Berlin. 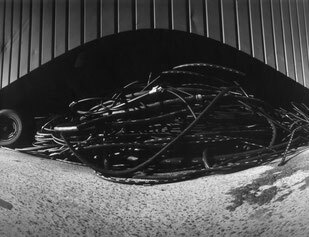 He uses giant mobile Camera Obscuras (Latin for “dark room”) to examine the everyday dynamics of modern life in the city and beyond and to challenge our perception of time. Markowicz exposes images onto large-scale sheets of color photographic paper, creating direct-negative photographs without film or digital technology. Some of the works that were created in New York or on the OBSCURABOAT, by definition unique pieces, can be viewed and purchased in the collection from March to May 2018. Both photographers will be present for this first public screening of the film in Berlin. After the screening, there will be a group discussion of the film. In the 1950s, Evelyn Richter and Ursula Arnold began a course in photography at the Hochschule für Grafik und Buchkunst in Leipzig. They ran into various constraints and limitations, stemming from the doctrine of Stalinism. 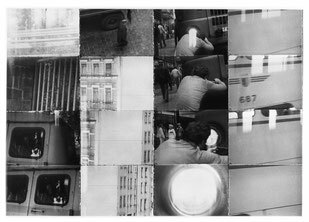 The film deals with these conditions under which both photographers’ oeuvres were developed, marked by personal temperament, resistance, and twists of fate. The film transposes the methods of observation that always represented a credo for both women—“straight photography”—to the film itself. No staged intrusions, little predictability, and including contingent occurrences in their environment—a truly animated depiction of life. In conjunction with the exhibition, “Dietrich Oltmanns. 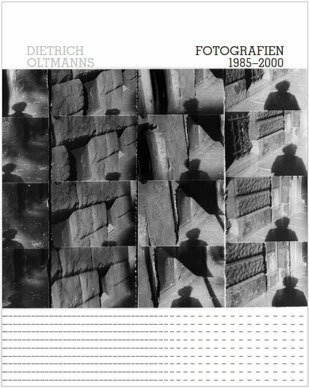 Photographs 1985-2000,” the photographer himself and the publisher Hansgert Lambers, who knows Dietrich Oltmanns’ work extremely well, will discuss the photographer’s work and approach. 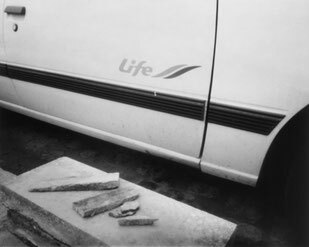 Publishers ex pose verlag have already published two books of Oltmanns’ work. The third book from this publisher, published in conjunction with the exhibition, will be presented: „Verstreutes Licht“, Fotografie mit Lochkameras 1988-2005. The book will also be introduced at the Salon Photographique.